“I think the problem with Girard-Perregaux in the recent past was that it had fantastic people but only creativity, and no strategy” for its product or distribution, he said. It also faced the external challenges of the watch industry at large, including the slowdown in Chinese demand and the complex aftereffects of terrorist attacks in many parts of the world. 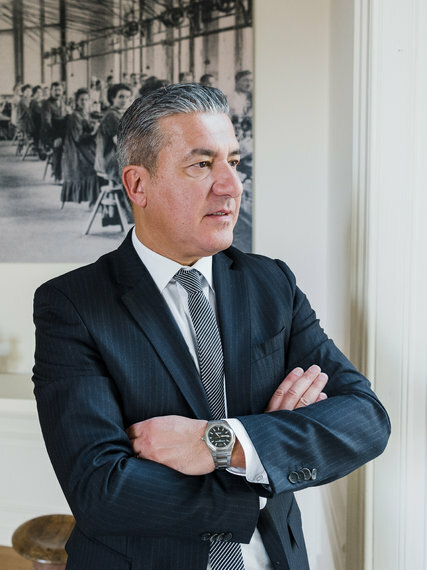 Antonio Calce is the chief executive of Kering’s Sowind Group, which includes Girard-Perregaux. Raised in Neuchâtel, Switzerland, to Italian parents who immigrated there after World War II, Mr. Calce has a Swiss penchant for precision and practicality along with an Italian passion for watchmaking and the heritage and craftsmanship that surround it. Instilling a sense of excitement among luxury spenders, he said, is crucial to the survival of the entire watch industry. Its current problems are not related to a lack of people with money to spend, but rather about persuading them to spend it on something for their wrists. Mr. Calce referred to a 2016 report by Bain & Company, the management group, that said sales of luxury goods, including watches, remained flat at 249 billion euros ($289.1 billion). This was in spite of an increase in overall luxury spending, to an estimated €1.08 trillion in retail sales, with experiences such as travel and gastronomy being the only bright spots. Girard-Perregaux’s Neo Bridges in titanium. At Girard-Perregaux, this meant dipping into its past to select the most iconic and the most successful collections for new attention. First was the Laureato, a thin, elegant sports watch introduced in 1975. Girard-Perregaux’s response to the quartz crisis (the rise of electronic watches and corresponding decline in demand for traditional mechanical timepieces), it was one of the first quartz watches made by a Swiss watchmaker. The design has been produced in many forms, including the introduction of a mechanical Laureato in 1995. But in January, at the Salon International de la Haute Horlogerie in Geneva, Mr. Calce introduced the first family of Laureato timepieces, 36 references for both men and women, in four sizes from 34 millimeters to 45 millimeters. 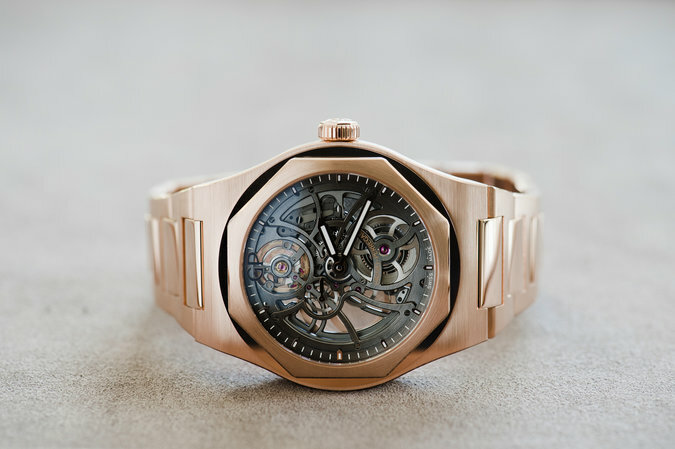 Girard-Perregaux’s Laureato Skeleton in rose gold. To some, fewer doors may sound like fewer sales (although this is a strategy other Swiss brands, including Patek Philippe, have taken), but Mr. Calce said it was a question of quality, not quantity. With fewer stores representing the brand, more time can be spent building good relationships with those stores and educating their sales staff. “We don’t sell potatoes, we sell high-end watches,” he said. Mr. Calce’s next challenge? 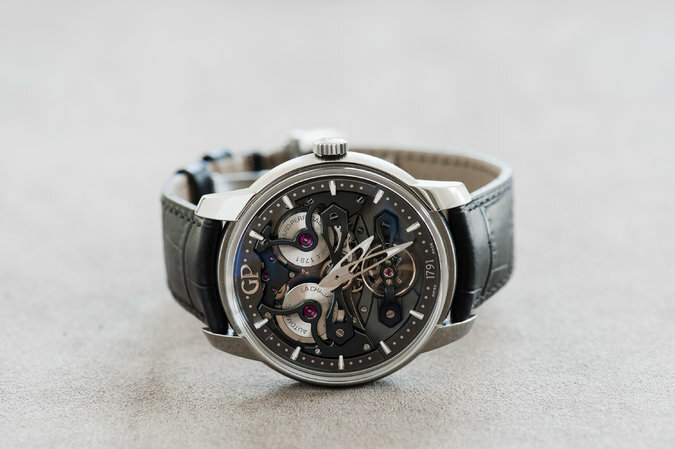 He wants to further improve brand awareness, which, along with all the other factors, he hopes will ensure Girard-Perregaux’s long-term success.